Clacton West Beach, below the 1920's garden. 9am – 1pm. 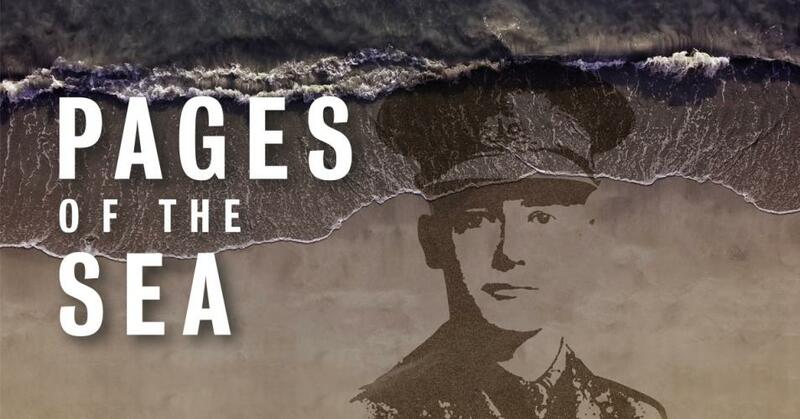 On 11 November 2018, communities will gather on beaches across the UK as part of Danny Boyle's 14-18 NOW project, to say thank you and goodbye to the millions of men and women who left their shores during the war, many never to return. You are invited to join us on Clacton's West Beach to mark 100 years since Armistice and the end of the First World War. Entitled Pages of the Sea, this is a unique moment to say goodbye, together. The Grand Theatre of Lemmings will be delivering the project on Clacton West Beach, below the 1920's garden. 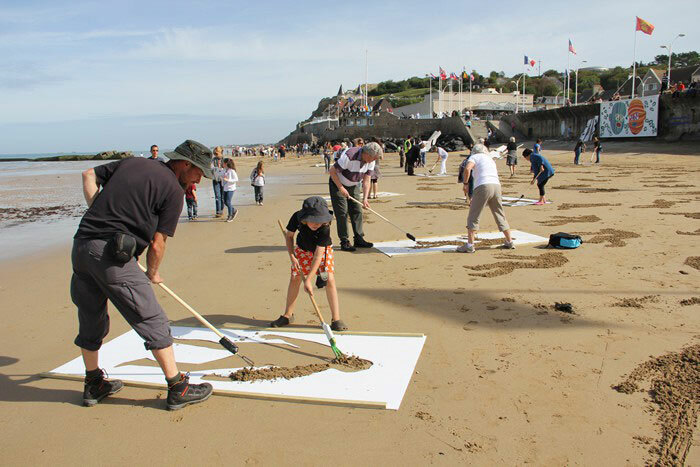 Over the course of several hours they will work with the community to create visual tableau using stencils, these striking images will emerge from the sand, providing a stark visual reminder of the extraordinary loss of life witnessed in First World War. And then, as the tide rises, watch as they're washed away as we take a moment to say a collective goodbye. We will also have a reading of a new poem, The Wound in Time, written especially for the moment by Carol Ann Duffy. We will also have spoken word, a brass band and songs from the community. From 9am on Sunday 11th November we will ask the public to join our commemoration by creating stencilled silhouettes of people in the sand, remembering the millions of lives lost or changed forever by the conflict. You will also be able to paint the name of a family member or community member who lost their life or had it changed forever onto a shell. A personal thank you and goodbye shell painting session to be run by J Dawson. In addition to Carol Ann Duffy's new poem you are invited to share your own chosen words at our informal 'Open Mic' session. Contributions to share may include existing poems, letters or pieces of writing or perhaps a new response to the First World War you have created personally or with a group. If you would like to create your own work, we are hosting workshops prior to the event with published writer Anita Belli. Details are below. Join a FREE storytelling event at Clacton Library and hear stories of WWI told by renowned storyteller, Mike Dodsworth. Mike can be found telling stories just about anywhere that an audience can gather and his Storytelling adventures have taken him far across the World. As part of 14-18 NOW at Clacton Library, Mike will be giving readings from Michael Morpurgo's bestseller "War Horse". In addition you can also join local artist Jackie Dawson who will show you how to make large scale paper poppies. Saturday 10th November, 11am – 3.30pm. WW1 History Display. "Lets Remember Them" Wartime Posters & Letters Home. You are invited to join local historians from the Clacton & District History Society for a display of posters and letters home relating to Clacton during WWI. There will also be an opportunity to browse the Clacton Roll of Honour to find the name of one of the Clacton fallen and paint it on a shell, which can be placed on the beach on Sunday the 11th as part of the Pages of the Sea event. Commissioned by 14-18 NOW, in partnership with National Trust, Activate Performing Arts, Creative Foundation, Eden Project, National Theatre Scotland, Nerve Centre, Sunderland Culture and Swansea City Council. 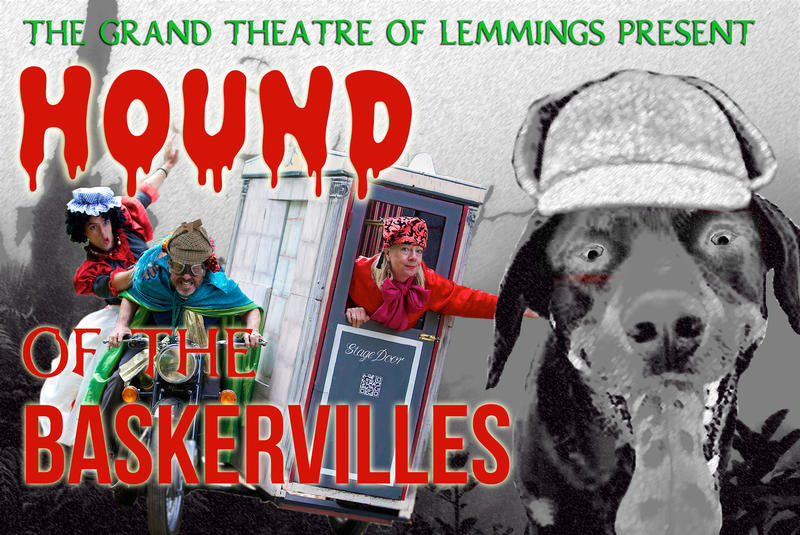 Sherlock Holmes - Hound of the Baskervilles in The Smallest Theatre in the World! large pipes! We already have bookings far and wide, from the Isle of Wight to Germany and then back to sunny England – it’s going to be a busy year for a tiny theatre. If you’d like further information and availability then please do get in touch, we love to chat! Step on Board the Mayflower! Funded by Heritage Lottery this is a brand new project that we will be delivering as part of the Mayflower 400 activities. We want to share the town’s heritage with the children of Harwich through practical engagement, theatrical re-enactment and the teaching of lost maritime skills to find out what it would have been like to be aboard. This project will engage with the everyday life four hundred years ago, including the finer details of what they wore, what they ate, where they slept and the practicalities of how they sailed the ship without an engine! We’re pretty sure this will boggle the minds of modern children! No engine?! With the 400th anniversary of the first sail of the Mayflower in 2020, we feel this is a perfect opportunity to engage young people with their amazing heritage in the lead up to the celebrations. After ten glorious years of The Harwich Children’s Carnival we’re reinventing the wheel! This is the first year for the Festival of Imagination but it is a continuation and reimagining of the Carnival. We are particularly excited about it for this reason – it has the history and foundation of the carnival but it’s been re-envisaged for a new generation. The celebration will host multiple theatre companies specialising in varying forms of children and family theatre, including tightrope walking, storytellers, stilt walkers, outdoor arts performances and much more. We will also programme art workshops where children can get messy and creative, and dance workshops, drumming classes, acrobatics and circus skills. It’s about using imagination, being active and doing it together, as a community. It will be a new challenge for us as a company and we welcome it with open arms. We anticipate that with the success of this Festival, it will continue annually, just like the Carnival did for so many years. It already is, and will continue to be, a staple in the Harwich calendar. This project wouldn’t happen without the generous financial support from Awards for All at The Big Lottery Fund, Harwich Connexions, Harwich Town Council and many more – thank you, thank you, thank you! Did I say thanks?! Wix and Wrabness Primary School have seen something extraordinary take place. On 2nd March 2017, World Book Day, the children of Wix and Wrabness came into school to discover multitudes of books with holes through them scattered across the school. Mr Newell, the headteacher, describing the scene when they arrived stated, ‘there were letters of the alphabet everywhere, strewn all over the place.’ As the day unfolded it was unveiled that George the Bookworm is to blame for munching his way through all the pages! George lives in Room 3, Shelf G at The British Library and he has a problem. He’s come across a book in the library but this book has NO words, they’ve gone missing. He’s been searching for these missing words but to have a good look he accidently nibbled his way through the pages. This is part of a unique project that we produced with local author, Anita Belli, specifically for Wix and Wrabness Primary. The project encouraged all the children to write for a new school newspaper, The Curious Times. The children journalists investigated why George turned up and ate all the words.